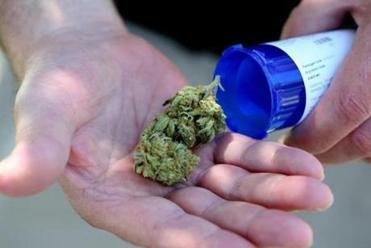 Will legal pot be a chance for minority business owners? Wanda James’s cultivation operation and dispensary in Colorado, Simply Pure, is expanding next year. DENVER — They were pioneers, the first black owners of a cannabis dispensary in Colorado. Now, eight years after the commercialization of medical marijuana here, and almost five years after voters legalized recreational use, there are hundreds of pot shops, farms, and manufacturers. But Wanda James and her husband, Scott Durrah, are still among the few black owners of a cannabis business in Colorado. Sitting in their dispensary across from a new luxury apartment development and a hip restaurant, James estimated there were fewer than 10 black-owned cannabis businesses in the state. The dearth of black pot entrepreneurs serves as a warning to Massachusetts, where advocates and lawmakers have trumpeted the new industry’s potential to create business opportunities in communities of color that bore the brunt of the decades-long War on Drugs. In Colorado, four successful black pot entrepreneurs cited roadblocks familiar to many black business owners across a range of sectors: difficulty getting capital, hiring good lawyers and accountants, and finding mentors in the industry who look like them. Jen Flanagan, a Democratic state senator, opposed the referendum that legalized marijuana in Massachusetts. But the cannabis market comes with its own special challenges, including cultural stigma about marijuana, restrictions on felons owning pot shops, and opposition from black elected officials, clergy, and other community leaders to an industry that is legal under state law but still seen as sinful. “The black clergy is some of the worst on cannabis. ‘The Devil’s weed’ and ‘God don’t like drugs,’ ” James said, using the tone of a scolding preacher. James, a one-time restaurateur, political consultant, and fund-raiser for Barack Obama’s 2008 campaign, recalls when she and her husband came out “of the cannabis closet” in a 2009 Denver Post article announcing they were getting into the marijuana business. “Almost every black elected official and business owner took a lot of pride in calling and saying what fools we were, how we just destroyed our reputation . . . how no politician will ever get near us,” she recalled. The calls continued — but now they seek political donations and cannabis advice, she said, smiling. And the couple’s cultivation operation and dispensary, Simply Pure, is expanding next year, a sign that business is good. Wy Livingston, whose business ventures include a tea shop and tea company that has a marijuana-infused line, said given the destruction that drugs have caused in black and Hispanic communities, it’s no wonder that church leaders oppose marijuana. 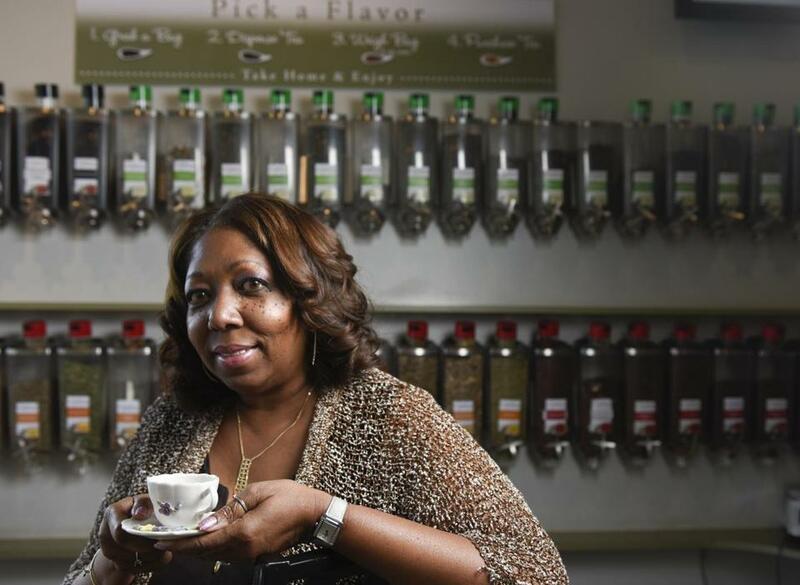 Wy Livingston at her Wystone's World Teas shop in Lakewood, Colo.
She said whether it’s heroin or cannabis, for many black church leaders, “everything is dope to them.” Church leaders rail against the drug, and “that’s going to keep a certain portion of folks just out of it,” she said. Dan Pettigrew, who owns a high-end marijuana extracts company, Viola Extracts, says the perception of marijuana is changing among black communities, just as perception is changing among all Americans. “The truth shall set you free,” he said, sitting with his business partner and co-owner, former NBA player Al Harrington, in their Denver facility, the scent from just-harvested cannabis plants heavy in the air. As more people see cannabis businesses prosper, the jobs and wealth the drug creates, and the medical help it can bring to people, the stigma will fade, Pettigrew said. A first-round draft pick out of high school, Harrington avoided the drug for decades. When he was traded to the Denver Nuggets in 2010, everyone was talking about the burgeoning medical industry and all the ailments marijuana could ease. One day, his 80-year-old grandmother, suffering from glaucoma and diabetes, came to Denver to watch a game. She was in excruciating eye pain, so Harrington offered to procure her some marijuana to see if it would be more effective than her prescription medication. She demurred at first — saying the drug had ruined Harrington’s grandfather’s life, and his uncle’s, too — but the next day her pain was so great, she agreed to try some. When he financed Pettigrew’s business, they decided to name it Viola, after Harrington’s grandmother. Stigma is just one hurdle, of course. Livingston, the tea entrepreneur, is also a former top executive at insurance juggernaut AIG and homebuilding giant Pulte Homes. She said what’s necessary in most industries — knowing people who can show you the ropes and invest in a new business — is exponentially more important in the cannabis space. After all, it’s a heavily regulated business, where relatively few people know the ins and outs of navigating the law. And access to capital, a hurdle for any entrepreneur, is more difficult in the cannabis industry because getting a bank loan is extremely tough. Marijuana remains illegal under federal law, and many banks would rather not take on that risk. Pettigrew said he had an advantage with Harrington, who had money to invest and connections to top-tier professionals. 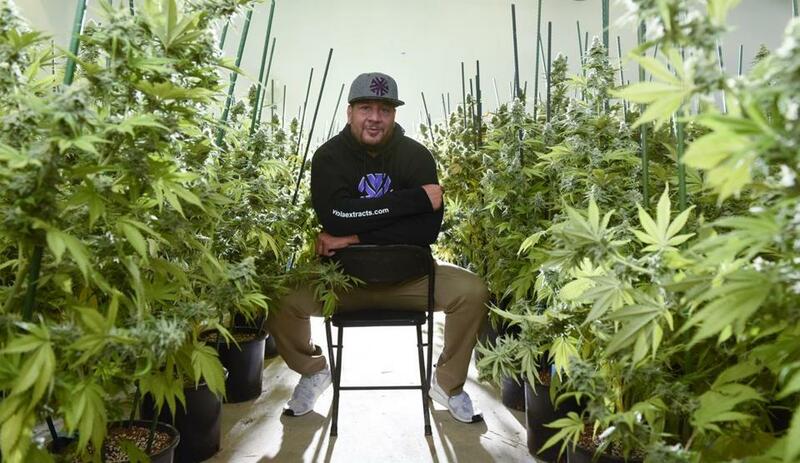 Dan Pettigrew a co-owner of Viola Extracts in the marijuana grow at their headquarters in Denver. And, he said, James and Durrah, the pioneering dispensary owners, mentored him as he got the business off the ground. Livingston, too, said she was advised by the duo as she expanded her tea business to include cannabis-infused products. Still she noted that with such a small network of African-Americans in the industry, it can be hard for aspiring pot entrepreneurs to find someone as a guide. “I just think it’s a travesty that here we sit in 2017, with this multibillion-dollar industry, and we can still count on our hands the number of people of color in the industry,” she said. She argued change will require efforts by individuals, community groups, and government. But it will be up to a soon-to-be-appointed board to decide what that actually means. Shaleen Title, a Malden-based attorney who is a founding board member of the Minority Cannabis Business Association, argued Massachusetts’ pot law does a better job than any other legalization state at welcoming people of color to the industry. ■ and legal language that allows people convicted of some marijuana and drug possession felonies to have an ownership stake in marijuana establishments and gives flexibility to regulators on employment restrictions. But “when you have a cultural stigma, having the best state policies in the world won’t matter because people won’t take advantage of them,” she said. 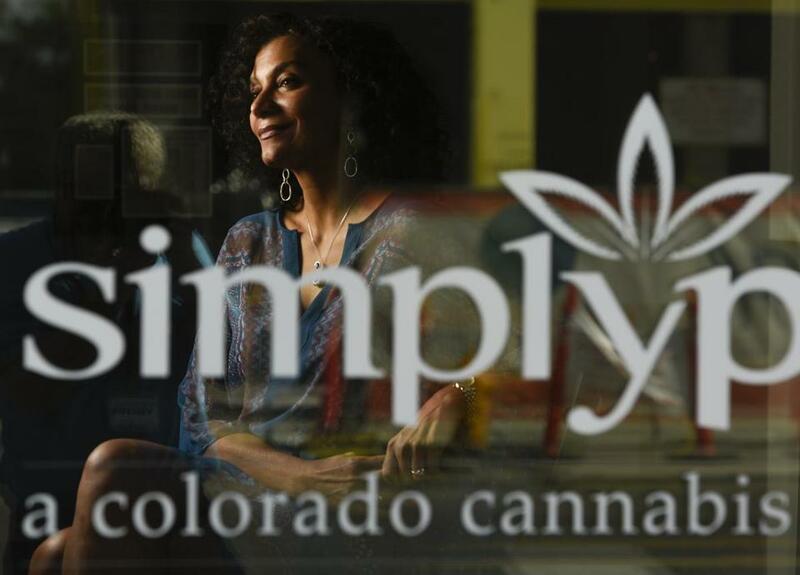 When it comes to black-owned cannabis businesses, “we have to do better than Colorado,” said state Senator Linda Dorcena Forry, a Dorchester Democrat who helped push for several of the legal provisions aimed at boosting opportunity for such communities. Sitting in her shop in the Highlands neighborhood of Denver, James said one way to ensure more minorities have ownership stakes in the pot industry is for parents to encourage their children (21 and older, of course) to get a summer job as a budtender — a marijuana store clerk — instead of working at a restaurant. “Get your foot in the door. Learn the business,” she advised. And, she emphasized, the industry is much larger than growing cannabis, making edibles, and having a storefront. There’s cannabis marketing, accounting, and law, along with countless other ancillary industries. It’s early yet in the expansion of legalized pot, she said, so there’s plenty of time for everyone to jump in. Wanda James recalled that she and her husband felt the need to come out “of the cannabis closet” in a 2009 Denver Post article announcing they were getting into the marijuana business.